While writing this post sitting a cup of hot coffee in my balcony I can feel the cool monsoon breeze on my face and the dark clouds have just gathered all are the signs that soon is going to be rain heavily. This reminds me to my travel destinations which I enjoyed a lot during monsoon. So I am sharing my favourite five monsoon destinations in India to enjoy rain and nature at its best. I have travelled almost all the travel destinations of India during monsoon and here are my favourite monsoon destinations. Karnataka, Goa and Northeast India. The monsoon season starts from June and rain till Augusts and this is the time when some travel destinations in India become more beautiful to explore. Kerala is an Indian state in South India on the Malabar Coast is often known as God's Own Country is very beautiful itself. Rich in natural beauty Kerala is one of the best monsoon destination in India to visit throughout the season, but it becomes more perfect during monsoon. Kerala has two rainy seasons (June-September & October-November) but it does not rain heavily over days and weeks. You can get some sunshine to travel and explore the places. It is the best time to enjoy Ayurvedic treatments as the weather is perfect making the therapies more effective. Waterfalls of Kerala become more glorified during monsoon. Enjoy the beautiful hills of Kerala which become greener and full of vegetation in rains. Onam the harvest festival of Kerala also falls in the monsoon so you can learn about the rich culture of the state and enjoy Snake Boat Race, Vallamkali, on the river Pampa is also part of the festivities. 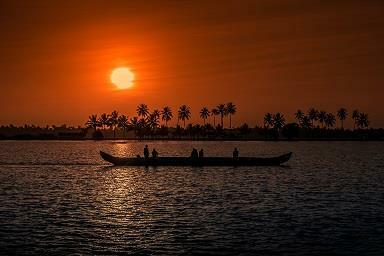 This all makes Kerala a perfect destination during monsoon. Best places to visit in Kerala during monsoon are Munnar, Alleppey backwaters, Pallivasal falls, Kundala dam and Periyar national park which is one of the few parks to remain open during the monsoon. Rajasthan the largest state of India is known for its tough weather. Rajasthan climate can be divided into four seasons i.e. summer, monsoon, post-monsoon and winter. July to September is a good time to visit Rajasthan not to avoid crowd which usually find during peak tourist season but to enjoy the picturesque of the state too. Rajasthan is another best monsoon destination in India. The brown surface of the state turns a lush green and the joy on the face of the locals will touch your heart. Teej Festival at Jaipur during monsoon can give you one more reason to travel you to Rajasthan in monsoon. Best places to visit in Rajasthan during monsoon are Jaisalmer, Udaipur, Bhainsrorgarh A picturesque drive away from Kota, Keoladeo National Park, Mount Abu are a must visit if you plan to travel to Rajasthan during the Monsoon. Coorg a beautiful state in the Western Ghats of South-Western Karnataka also known as Kodagu is famous for coffee plantation, beautiful hills, and waterfalls and its natural beauty. Coorg mainly experiences summer, winter and monsoon seasons. 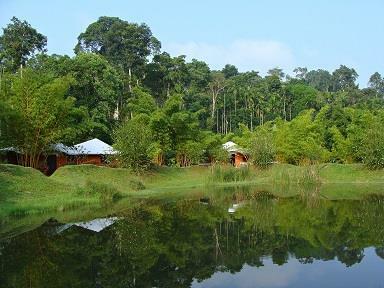 Though best time to visit Coorg is summer but one can visit the state throughout the year. The monsoon season at Coorg lasts from June to September and there are chances of heavy rainfall during these months but the beauty of Coorg is certainly enhanced during rains. Coorg becomes so magical during monsoons that cannot be explained in words. Visiting Coorg during rainy season then get ready to drench in heavy rainfalls and not to miss some spectacular views of Coorg and aroma of fresh hot coffee. Goa a land of beaches is not only about sun and sand, the monsoon is also the best time to visit Goa to get drenched yourself in downpours. There is no other choice Goa is the one of the best monsoon destination in India. Goa becomes magically beautiful during rainfalls, a rainy walk along the beach can fill you with a new life. Adventure lovers can visit Fort Chapora and watch raindrops falling into the ocean or just sit in your hotel balcony enjoying the rainfall with a hot cup of coffee and your favourite book. Wildlife Sanctuaries like Mhadei Wildlife Sanctuary, Bhagwan Mahavir Sanctuary, Bondla Wildlife Sanctuary and Mollem National Park in Goa are also remains open during Monsoon and nothing can beat the Jungle Safari during rains. 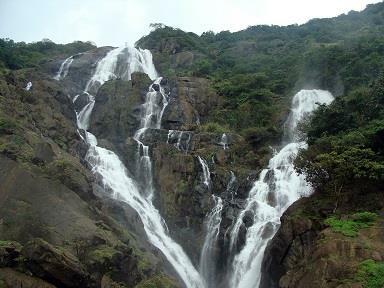 Dudhsagar Falls at Mollem National Park is a must-visit during the monsoon when milky white water is at full swing. Sao Joao Festival also is known as Fertility Feast of St. John the Baptist in late June every year is also one of the prime reasons to visit Goa in the monsoon. Nothing beats a party like a party in Goa and these parties become more vibrant during monsoon. Maharashtra is a state in the western region of India which becomes the favourite tourist spot for nature lovers during the monsoon season. The state becomes alive in the monsoon with lakes and waterfalls, beaches, hill stations all get ready to welcome the nature lovers, trekkers or just a fun getaway. There are many places to visit in Maharashtra during the rainy season which attracts lots of tourists not only from India but across the world, so Maharashtra being one of the famous and best monsoon destination in India. Lonavala and Khandala are the prime attraction of them all during rains. The mountain ranges of Sahyadri famous for its waterfalls become live under the showers. Best places to visit in Maharashtra and around Pune during monsoon are Bhimashankar, Panchgani - Mahabaleshwar, Malshej Ghat and Amboli Ghat that hold special attractions for adventure and nature lovers. So why to wait, pack your bags and get ready to visit these awesome places this monsoon and enjoy the rain and natural beauty at its best. Awesome places indeed. But Kerala is my favorite destination during the monsoon because of its lush greenery, stunning landscapes and verdant mountains. 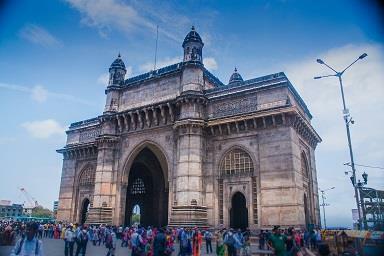 It is surely one of the top 5 honeymoon destinations in India. To be added, Kerala is extremely popular for its ancient Ayurveda treatments and therapies during the monsoon. Thanks for the information. After reading this article, Maharashtra will become the all-time favorite destination for people who are looking for natural beauty. I hope travelers will enjoy their journey with lots of options.